His lengthy resume of Heisman Trophy winner, number one draft pick and highest paid player isn’t all that impressive. The fact his chiseled jaw and mesmerizing blue eyes have probably made him Mr. Popularity from the age of five isn’t going to work on me. Not when I have goals—goals that don’t include finding myself on an all pro-football heartthrobs checklist. I could go on and on about her dark wavy curls, her pouty pink lips, or her whiskey-on-the-rock eyes that reveal her truest desires. The fact she’s not impressed by my sports superstar aura like most women makes her worth more than a fling. But this year is my last shot at glory after crumbling to a mere mortal on the game’s biggest stage. My focus needs to be on the ring, not turning Carly’s no’s to yes’s. 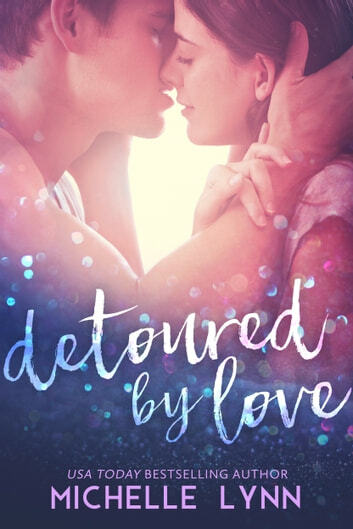 Carly and Bryant’s paths are about to collide, and they better be prepared to fight for what matters most because life’s paths aren’t all sunshine and winding roads. Started out good but throughout the story and towards the ending Carly was really starting to annoy me. Not all the characters were believable. 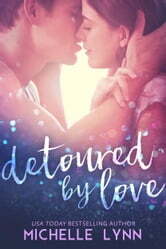 Detoured by Love by Michelle Lynn....I loved this book it is in my top 10 books for 2016. Michelle Lynn knows how to pull the readers into the story and you feel all the emotions. I absolutely loved watching the story unfold between Carly and Bryant. Michelle Lynn is one of my favorite authors, I know when I pick up a book I will not be able to put it down until the last word. I voluntarily reviewed an advance readers copy of this book.